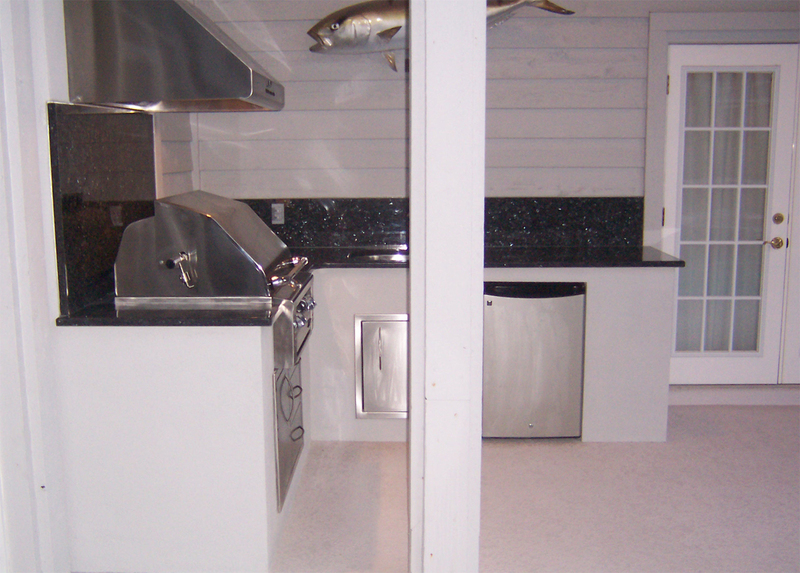 At Outdoor Kitchen Creations, from design through completion, you are working directly with the Owner. You will always be able to reach us by telephone and/or e-mail. We strongly believe that Customer Service is one of the biggest keys to a happy client. The Owner of Outdoor Kitchen Creations will come to your home, free of charge, to do an in-home consultation and help you design your dream outdoor kitchen. We will share our experience, answer all of your questions, give you a detailed drawing, and tell you everything about your outdoor kitchen. Then, when it's time to begin construction, it's our Owner and crew who are on the job building your project. From day one, our attention to detail, customer service, and old school work ethic are just a few of the reasons why we are like no other Contractor you have ever worked with. You can read through our testimonials to see what makes OKC the premiere Outdoor Kitchen Contractor in Central Florida. Outdoor Kitchen Creations is a State Certified, fully licensed, turn-key Construction company which specializes in outdoor kitchens. We will be happy to provide copies of all necessary licensing and insurance documents at your free in-home consultation.